Toronto is the 13th biggest Star Alliance transfer hub world-wide, with more than 400,000 passengers connecting from one Star Alliance carrier to another each year. The Star Alliance Connection Service is now available at Toronto Pearson Airport. This assists passengers with tight connections between two Star Alliance member airline flights. Dedicated Connection Service staff use special software to monitor the transfer window for customers with onward flights. Cases where passengers and checked bags appear in danger of missing a connection are automatically highlighted. The Connection Service agent can thereby already consider the various options available to ensure that the customer reaches the onward flight, or if necessary book alternative options, before the inbound flight even lands. In addition to home carrier Air Canada, the following Star Alliance member carriers serve Toronto: Austrian, Avianca, Brussels Airlines, Copa Airlines, EGYPTAIR, Ethiopian Airlines, EVA Air, LOT Polish Airlines, Lufthansa, TAP Air Portugal, Turkish Airlines and United. Together they offer more than 6,000 flights per week connecting Toronto to 159 destinations in 59 countries. Star Alliance has been operating Connection Centres for more than a decade. In place at 11 hub airports, these have largely been working behind the scenes on expediting checked bags at risk of missing their onward flight. In addition, assisting passengers with tight connections was an additional service offered in Frankfurt, Houston and Munich. As part of the Alliance's strategy of further improving the customer journey, the Star Alliance Connection Service brand was rolled out last year, along with the plan of adding passenger assistance at all locations and expanding the overall product to more locations. Chicago (ORD) was the first airport where the Connections Services brand was introduced last year and passenger assistance added to the baggage expedite. 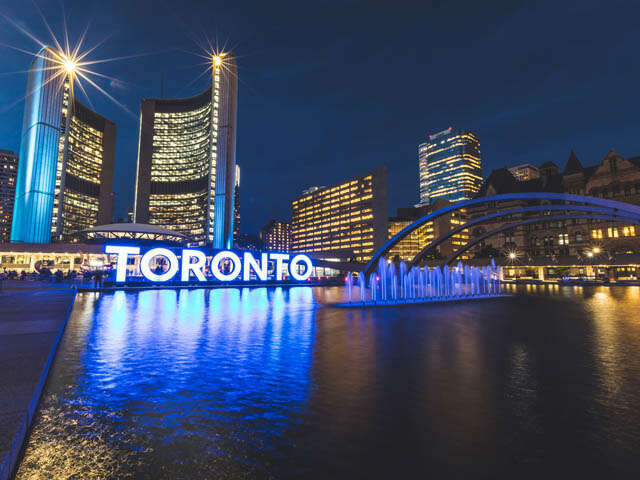 With Toronto (YYZ) now also offering Connection Service, the combined passenger and baggage expedite is now available at the following Star Alliance hubs: Chicago (ORD), Frankfurt (FRA), Houston (IAH), Munich (MUC) and Toronto (YYZ). At present, baggage-only expedite is offered at Denver (DEN), London(LHR), Los Angeles (LAX), Newark (EWR), San Francisco (SFO) and Washington (IAD).